Visit us in July for art you can live with in the most beautiful way. 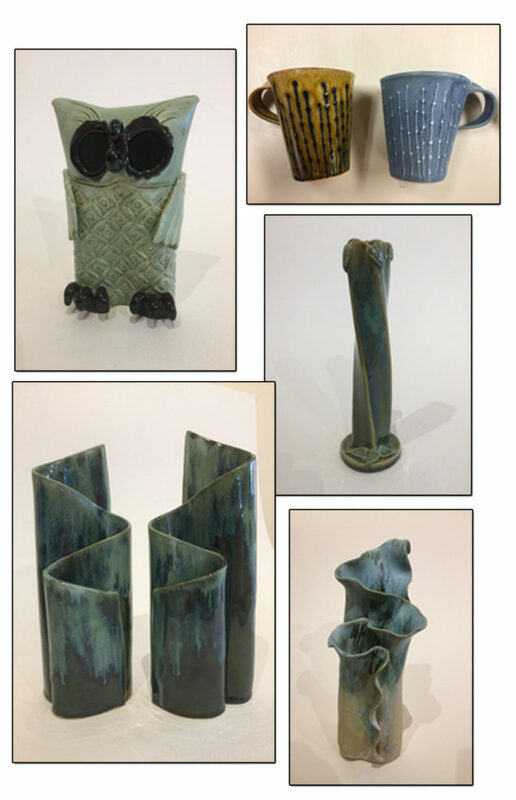 For Marydee Bombick pottery has always been a favorite hobby. Her work ranges from functional pieces to more whimsical items often related to her other passion, gardening. Pieces range in size from small plant stakes to birdbaths. Wall turtles in a variety of sizes are a recent addition. 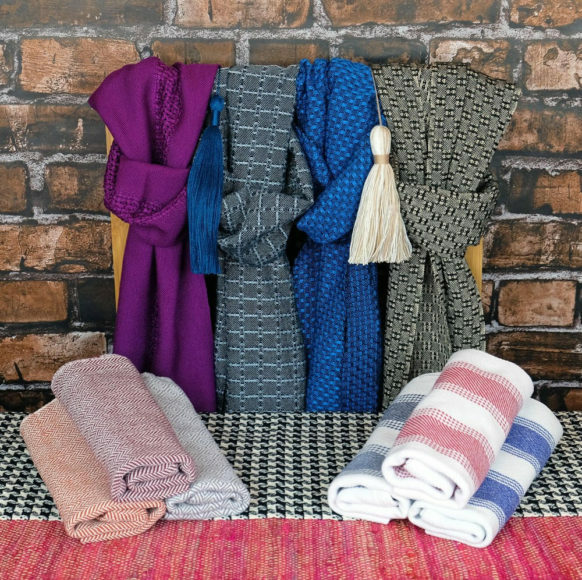 Angelique Stewart creates elegant home decor that’s made to last – like tea towels and table runners – and stylish, chic accessories, including scarves and shawls. 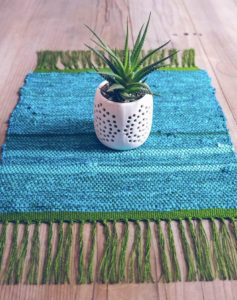 She loves using high-quality organic materials and time-proven techniques on an old-fashioned floor loom, but with a modern sensibility. ←Previous Post: “In Full Bloom” is the June show featuring the newest floral creations from Suzanne Etienne, painter, and Cheryl Kempner, clay and metal artist.